Which are the top 10 most expensive mobile phones ? Which are the top 10 most expensive mobile phones in the world? Its worth noting that mobile phones are integral part of our lives , as , today , with the recent advances in technology , cell phones seem to do the things that a computer does. Also, they are the portal into everything in our lives and people are addicted to their phones. If you want to own a phone that will do everything, you have to be ready to pay a big amount of money. We present you a list of the 10 most expensive mobile phones. Vertu is popular by its luxury phone products including Vertu Signature Diamond. It is made of platinum and it is believed that has the best assembly process done by hand.Also it is decorated with a fancy diamonds(200 pieces).It costs $88.000! iPhone Princess Plus is designed by a famous Austrian designer , Peter Aloisson. 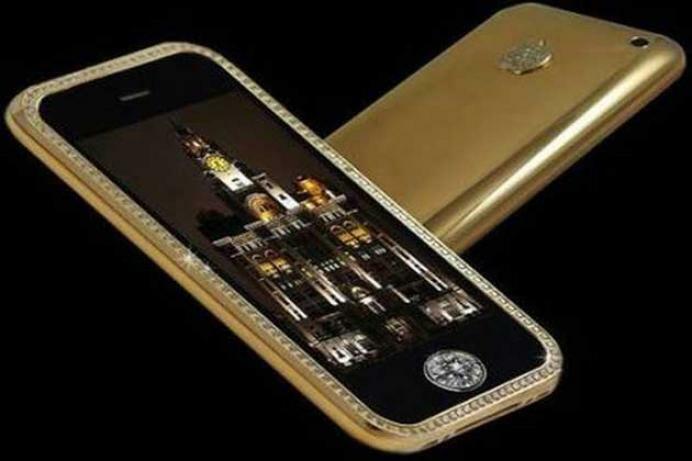 Alongside the gold, the iPhone come with 138 princess cut and 180 brilliant cut diamonds and according to the designer the quality of the diamonds is one of the best , if not the best , so if you own such a thing is something remarkable. Its cost is $176.400 !! It is designed by French jeweller, Boucheron. The plushy cell features one pear cut diamond, two emerald eyes, one round white diamond and 439 rubies. Also has a utterly exclusive design with form like the Cobra snake on the side. 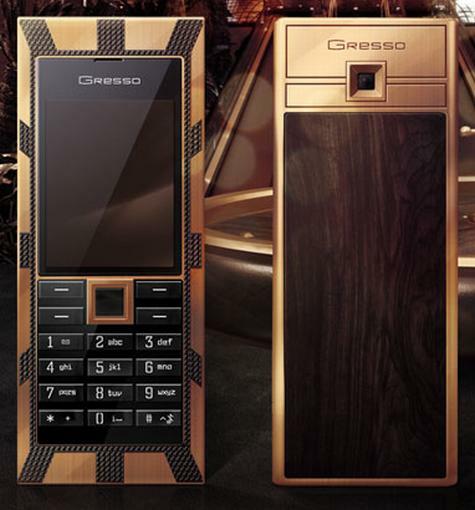 Gresso is a traditional provider of luxury handsets, one of this is the Luxor L.A Jackpot. The phone was set in Switzerland in 2005. It is manufactured by solid gold weighing 180grams and the back panel by African backwoods that is more than 200years old. The wood is one of the most, if not the most, expensive wood. The keys are made of sapphire crystal. Its cost? $1MILLION!!! 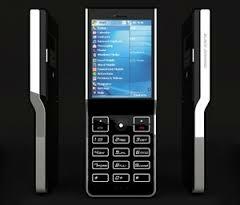 Peter Aloisson (who is also designer of the iPhone Princess Plus 9th most expensive) designed this phone which is based on Windows CE. It features a cover decorated with 50 diamonds and 10 rare blue’s. Furthermore, there are sections made in rose gold. Also, give protection against kidnapping and technological blackmail. Its price is the stunning $1.3million. Emmanuel Gueit is the designer of the FoldVish Le Million. It is adorned with 18k gold and 20 carats of VVS1 diamonds. It had been established in Switzerland and it is awarded by the World Record Of Guinness as the most expensibe phones sold in the Millionaire Fair in Cannes, France in September 2006. As No.3 , it costs $1.3million. Creator is again the famous Austrian designer Peter Aloisson. 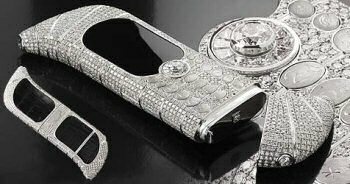 There are 138 diamonds on this phone and a alluring 6.6carats diamond which serves as a home screen button making it more appealing and a total worth of $2.4Million!!! 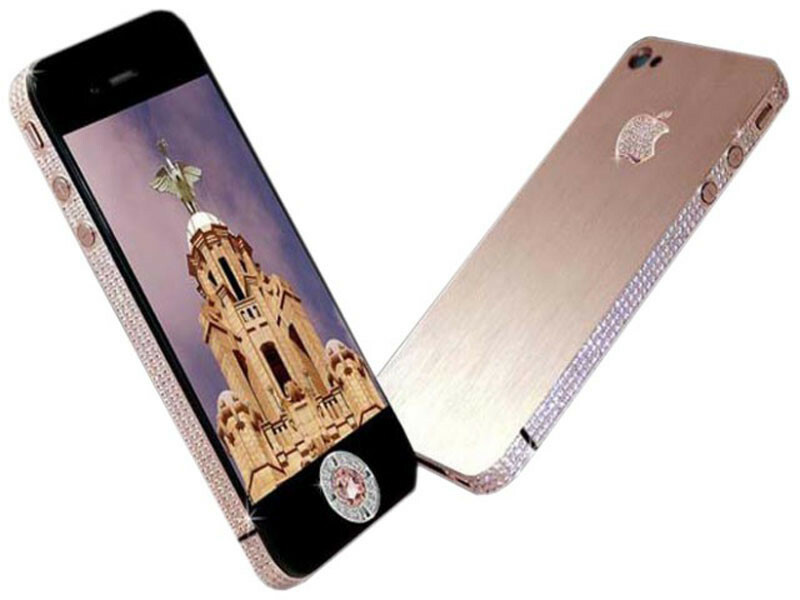 And we reached the No.1 most expensive phone in the world: the Diamond Rose iPhone 4 32 GB made by Stuart Hughes. Its bezel is made of rose and about 500 individual perfect diamonds (in total over 100carats). The back of the phone is also rose gold and features the ”Apple” logo decorated with 53 added diamonds. The front navigation button is platinum with exchangeable single cut 7.4 carats pink or, 8carats rare flawless diamonds which are in the center of the button. That was our list featuring the top 10 most expensive mobile phones in the world. What do you think? Is it worthy to buy some of this? Or is it crazy and unthinkable? Tell us your opinion in the section comment below 🙂 .